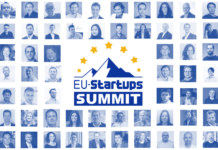 Over a thousand startup founders, investors, enthusiasts, and other members of the European startup ecosystem will meet in Barcelona for the EU-Startups Summit on May 2-3. The conference will be an excellent opportunity for networking, and for entrepreneurs and wantrepreneurs to learn tips for how to create a successful startup from pros who have been there. The agenda is packed full of fireside chats from accomplished European startup founders, and workshops from top experts on subjects such as marketing, pitching, fundraising and venture capital, analysis of startup ecosystems, bootstrapping, EU funding opportunities, tips on exiting, how to differentiate your startup from competitors, how to create great customer experiences, and more. 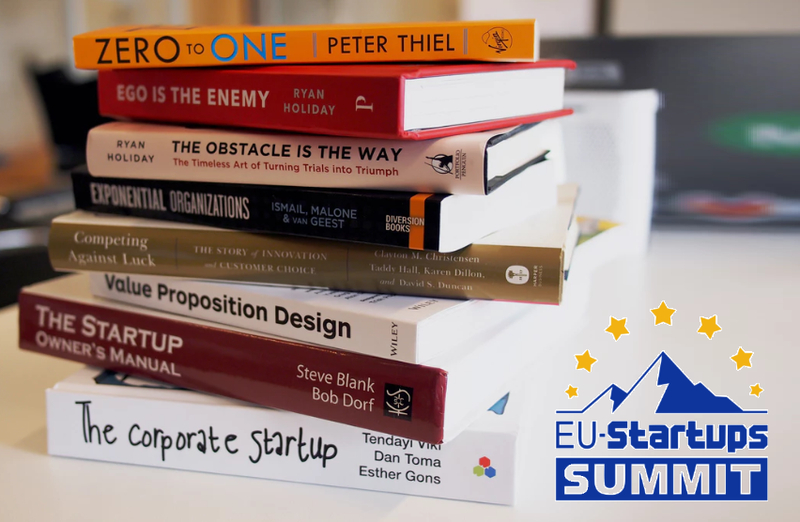 Below are 10 things that you will learn about at the EU-Startups Summit. If you haven’t yet, book your ticket now and join us in sunny Barcelona! 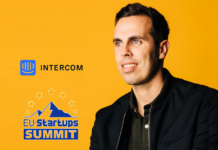 How to successfully scale your startup – Founders from several successful scale-ups throughout Europe will be present to share their stories and lessons learned, including founders from TravelPerk, Omio, Adblock Plus, AirHelp, Grover, Spotahome, Startup Guide, and more. Specifically, Avi Meir will talk about his experiences scaling TravelPerk, and Michael Cassau, founder of Grover and former Managing Director of Rocket Internet, will talk about scaling up and how to work with corporates. There will also be a special workshop on Growth Hacking with Tim Cakir, a growth marketing consultant and founder of growth hacking agency Tracking n Hacking. And Nilan Peiris, the VP of Growth at TransferWise will host a workshop titled “How to generate and keep up with fast growth”. 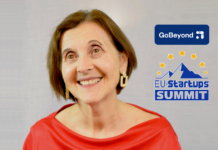 The state of the European startup ecosystem – Lisa Steigertahl, co-founder of the European Startup Network and consultant for the EU Startup Monitor, will share her insights on Europe’s growing startup ecosystem. 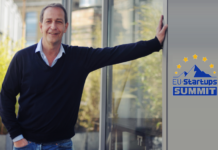 The EU Startup Monitor is an initiative to improve the economic and regulatory situation for startups and scaleups, and conducts research into country specific and common challenges of startups in Europe. Additionally, Sissel Hansen, the founder of Startup Guide, which publishes guide books about the startup scenes in 23 cities worldwide, will host a workshop titled, “What makes a startup ecosystem vital and thriving”. Storytelling, PR, and pitching for startups – Tilo Bonow, a communications expert, business angel, and founder and CEO of public relations firm PIABO, will give a workshop titled, “The Dos and Don’ts of Storytelling and PR for Startups”. Catherine Ogilvie, a strategic marketing advisor for Silicon Castles with over 30 years of experience in global marketing and communications, will give a talk on “How to best tell your story in a compelling way.” And Beth Susanne, an international pitch coach, will lead a workshop on “How to prepare and execute a great pitch”. How to stay mentally healthy as a startup founder – “If you don’t have your health, you don’t have anything.” Between long days that turn into nights, tough decisions, and the pressure to bring in revenue and please investors, startup founders have a lot of balls to juggle, and the process of starting up a business can take a serious toll on founders’ well-being, as well as that of their employees. Madeleine Evans, founder and CEO of Levell, will lead a workshop on “How to stay healthy as a startup founder”. Levell is a startup that has developed well-being management tools to prevent burnout and chronic stress in the workplace, thereby improving employee performance. How to bootstrap a startup – Around 30% of all startups bootstrap their way to growth, without loans or venture capital funding. Zièd Bahrouni, Managing Director and co-founder of Motius, will give a workshop on how to successfully bootstrap a company. Founded in 2013, Motius develops products and prototypes for clients by combining a talent pool of world-class developers with a smart project platform for automation. And if you are VC-backed, Romain Vidal, Partner at the French VC CapHorn Invest, will lead a workshop about traps to avoid falling into when you receive funding. Social media marketing for startups – Social media is now an integral part of marketing for most businesses. Ovi Negrean, a startup advisor, mentor at the Founder Institute, and co-founder and CEO of SocialBee, will be hosting a workshop titled, “Social media for startups – tactics for when funds are low and dreams are high”. SocialBee is an agency that provides social media tools and training, and is used by over 5,000 companies and entrepreneurs. 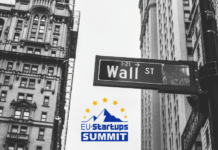 How to find funding and the right investors – The Summit features several workshops and talks dedicated to helping founders better understand and navigate investment opportunities. In a reverse pitch competition, 30 investors will be pitching to startups about why you should pitch to them or their VC, Lotf Belych from Dealroom will give a workshop about trends in VC funding, and Guillermo Gaspart, founder of the Spanish startup BYHOURS, will give a workshop titled “Where and when to find investors that are the right fit for your startup”. And if you’re interested in joining an accelerator, there will be a panel discussion featuring Techstars, APX, Wayra, Rockstart, Next Big Thing and Startup Wise Guys. Alternative access to funding – Representatives from Seedrs, Crowdcube, Funderbeam, and Startupxplore will hold a panel on equity crowdfunding, and Kaidi Ruusalepp, CEO and founder of Funderbeam, will give a keynote address about her entrepreneurial journey with the platform. 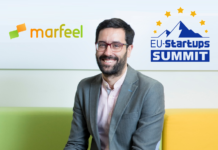 Arnab Naskar will talk about alternatives to banks and VCs for financing, and Juanma Revuelta, the General Director of FINNOVA, a foundation which links innovative initiatives with European financial instruments, will give a workshop about European funding available for startup assistance. Lessons from Google’s most ambitious projects – What can you learn from one of the world’s biggest tech giants? Amrit Dhir, the Head of Global Operations at Google for Startups, will give a workshop highlighting four practical lessons for innovators, entrepreneurs, and corporates, based on experiences from some of Google’s most ambitious projects. How to create great customer experiences – Anna Ritz, CEO of weview, a startup that uses machine learning to generate insights into consumer behaviour, will give a workshop on “Digital empathy along the customer journey”, focusing on how to build trust with customers, leverage word-of-mouth recommendations, and generate data-driven decisions into customer behaviour, preferences, and decisions. Markéta Bláhová, founder of DayTrip, will lead another workshop titled, “Behind 5 Star Ratings: How to create a great customer experience”, addressing how to exceed client’s expectations, tune into customers by generating and listening to feedback, and how to build a dedicated customer support team.